This open-access volume explores why online writing matters for liberal arts learning and illustrates how different faculty teach with web-based tools for authoring, annotating, peer editing, and publishing. Buy a print edition from the University of Michigan Press. Or freely read or download this digital edition, with bonus tutorials and extras. Sponsored by the Center for Teaching and Learning at Trinity College. Recommended short link: WebWriting.trincoll.edu. The essays in Web Writing respond to contemporary debates over the proper role of the Internet in higher education, steering a middle course between polarized attitudes that often dominate the conversation. The authors argue for the wise integration of web tools into what the liberal arts does best: writing across the curriculum. All academic disciplines value clear and compelling prose, whether that prose comes in the shape of a persuasive essay, scientific report, or creative expression. The act of writing visually demonstrates how we think in original and critical ways and in ways that are deeper than those that can be taught or assessed by a computer. Furthermore, learning to write well requires engaged readers who encourage and challenge us to revise our muddled first drafts and craft more distinctive and informed points of view. Indeed, a new generation of web-based tools for authoring, annotating, editing, and publishing can dramatically enrich the writing process, but doing so requires liberal arts educators to rethink why and how we teach this skill, and to question those who blindly call for embracing or rejecting technology. 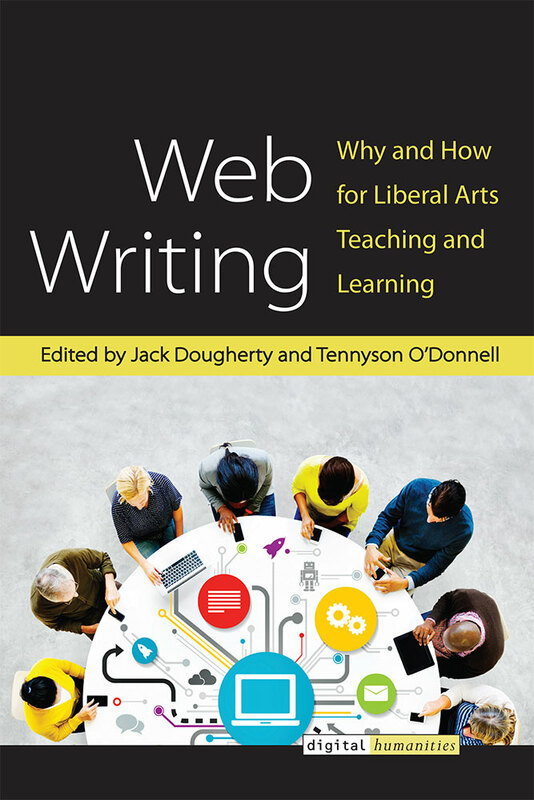 Web Writing: Why and How for Liberal Arts Teaching and Learning by Jack Dougherty, Tennyson O'Donnell, and contributors is licensed under a Creative Commons Attribution-NonCommercial-NoDerivatives 4.0 International License, except where otherwise noted.